We are coming up on a perfect False-Flag weekend. Consider my published research over the last twelve-years. I have updated some of the information from this Post that I wrote last year. There are two Quatrains that are particularly important for this April 19th, which is Good Friday and April 20th, which is Passover. That link above will give readers a synopsis of the history of these two days. To understand world events, you have to acknowledge that human sacrificing cannibal Satanists exist. I have packaged all of these easy to read FACTS on one Webpage. This page has been on this Website for nearly twelve-years and is constantly kept up-to-date as a service to humanity. 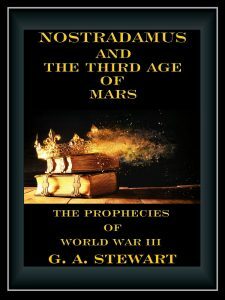 In my forthcoming book, Nostradamus and the Third Age of Mars, The Prophecies of World War III, I describe how I interpret various prophecies from The Bible, Nostradamus, and Islamic Hadith that seem to predict nuclear destruction for the three centers of the Abrahamic religions: Jerusalem, Rome, and Mecca. Satanists have a different belief system, and they would be my first suspects. Seeking the gold owed the lover and Pselyn [Henri Selyn]. Nostradamus clearly saw the influence of the Nazis when he penned what I believe is one of his greatest predictions. Every Nostradamus interpreter has missed this translation for centuries because he or she has incorrectly converted the Julian and Gregorian dates. Every English translation for this Quatrain has failed since 1672. I am correcting a 345-year-old error. 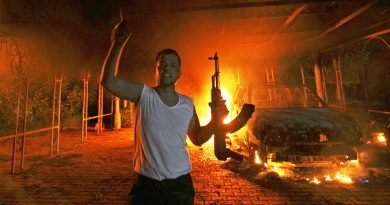 Since 2008, I have noticed many blogs referring to the inordinate amount of bloodshed and carnage that has occurred throughout history on April 19th and April 20th. I pioneered this research, and it first appeared on my website in 2008. 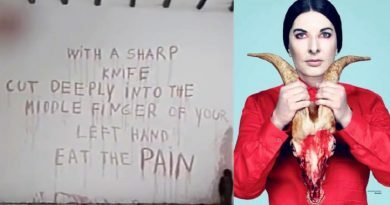 April 19th is the occult day of The Blood Sacrifice to the Beast. This begins the 13-day countdown to the second most sacred day for Satanists, The Beltaine Festival on May 1st, which requires a “fire sacrifice”. April 20th is Adolf Hitler’s birthday. I discovered this sacrificial two-day period while I was trying to interpret Nostradamus Quatrain I-42. It was the long bloody history prior to Adolf Hitler’s April 20th, 1889 birthday that I found so intriguing and that lends credence to its occult origins. 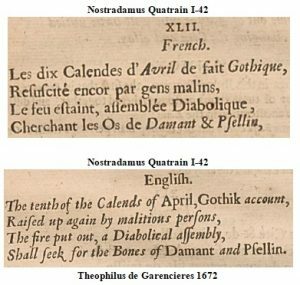 Every well-known Nostradamus Commentator published in English has missed the fact that the date Nostradamus predicts in Quatrain I-42 is April 20th. When I first read Richard Hoagland’s research about the Nazi influence in NASA and the launching of many missions on April 20th, Adolf Hitler’s birthday, I thought immediately of this Quatrain. Now some Conspiracy Websites will just point to Pagan Rituals performed on this day, but it is all about Nazis. The post World War II dates of ritual occult celebration, bloodshed, and sacrifice also link to institutional Neo-Nazis in the present day. Besides being an accurate prediction of the change from the Julian to Gregorian calendar system, Nostradamus Quatrain I-42 zeros in on Germany. This very important Quatrain presents readers with a perfect example of working with early and later editions of Nostradamus’ Centuries. In the last line, I will point out the word “or” and “Pselyn”. In later editions, the word “or” has become “os”, and depending on the edition, “Pselyn” has become “Pselin” or “Prelin”. In every English version I have read, “os” then translates as “bones”, and the enigmatic word “Pselyn” has been translated as “Psellus”. Michael Psellus, was a famous Byzantine philosopher and historian. 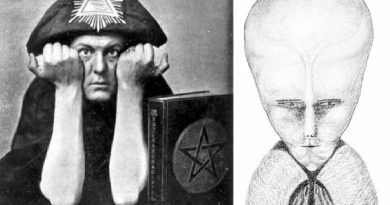 Most importantly, he had a world-renowned library of occult and esoteric lore. Above, I presented the first 1555 printing of Quatrain I-42. Below, I present six more printings from 1557 until 1630. You will see the progression of interpretation errors. These two 1557 editions have a notable different source, because one edition only had 40 Quatrains in Century VII, and the other edition had 42. In the 40 Quatrain edition is where we see “or” becomes “os”. Instead of Gold, commentators since have translated it as Bone. Note that “Pselyn”, “Pselin” is also printed as “Prelin”. Henri Selyn and The Black King are by far the most frequent characters mentioned in The Quatrains, The Presages, and The Sixains. The modern English interpretation of Psellus seems to begin with Henry Roberts 1947 interpretation. Henry C. Roberts used the oldest English translation of Nostradamus’s work, The True Prophecies or Prognostications of Michael Nostradamus written in 1672 by Theophilus de Garencieres. Who was also a well-accomplished man and an apothecary like Nostradamus. I have this edition, and as readers can see, it is definitely Henry C. Roberts that introduced the Psellus interpretation that everybody has aimlessly copied for the last seventy-two-years. In Quatrain I-42, ten days after the beginning of April in the Julian calendar system becomes April 20th in the first centuries after the change to the Gregorian calendar system. The birth date of Adolf Hitler in Quatrain I-42 is also coincidental with the 1942 entry of the United States into World War II. I disagree with those Nostradamus Commentators that believe that Nostradamus used “d’Amant” as a cloaked version of the word demon because he was afraid of The Inquisition. This actual suggestion is an example of the leaps in interpretation that some Nostradamus Commentators have made over the centuries. The later evolution of “or“, meaning “gold” to “os“, meaning “bone” or “bones” is also completely incorrect. 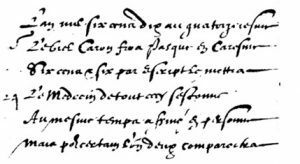 Translating it properly as gold makes “du” in “les or du d’Amant & Pselyn“, “dû“, meaning “owed” or “due“. Therefore, The Diabolical Assembly is destroyed trying to “cherchant“, “seek, search, hunt for“, “the gold owed Henri Selin and his lover”. Seek for the bones of the lovers and Psellus. Searching for the bones of the Demon of Psellus. Seeking the bones of the Daemon of Psellus. Seeking the gold owed the lover and Pselyn. This leads me to a set of Easter Prophecies from Nostradamus. Dans temple à Pasques abysmes enfondrez. The temple cracked open during Easter. Mais pour certain l’vn d’eux comparoiƒtra. But for certain one of them will appear. Charon is the ferryman across the River Styx, therefore a metaphor for The Ferryman to Death. In Quatrain I-49, Nostradamus states that events in 2011 will lead to the “subjugation of Aquilon [NATO]”. The reference to Easter is metaphorical for death and resurrection. Loading nuclear weapons onto Russian bombers on the first day of Lent will bring Easter, or death and resurrection. 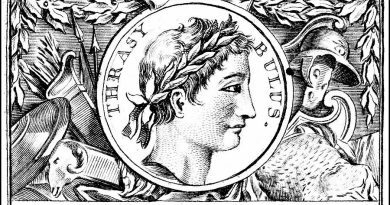 Also in Quatrain IX-31 there is the reference, “the temple cracked open during Easter”, and I will expand upon that prediction in Chapter Sixteen. I hope readers appreciate these excerpts from my book. I am trying to keep up with the news and keep this Website up-to-date. As readers can see, it is very easy for me to just pull material from the book and create a Post. 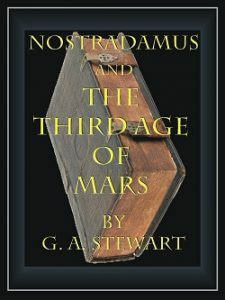 I am trying to find time to finish Nostradamus and The Third Age of Mars, The Prophecies of World War III, but I have encountered every kind of obstacle that a writer could encounter, from my 5-week bout with kidney stones back in January, to the craziness that has popped up in my professional and personal life too. It has become comical to see these obstacles just materialize out of nowhere. At first, I thought these may be obstacles. 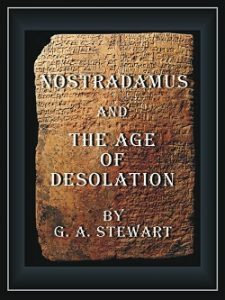 However, after I solved the HYSTRA anagram in Quatrain I-40 just a few days ago, I realize that I am glad that I did not finish the book, and I can add this anagram solution to my list of solved Nostradamus Anagrams. That solution actually came after brainstorming with George Ure. What I find very interesting is that when I read his Email last night as I was working on my book, I had my Master Nostradamus Compendium open with ten- years worth of the oldest printings, so I looked up the Quatrain he referenced without opening the link George provided. Unfortunately, George’s typo led me to the wrong Quatrain and I just shrugged it off, wondering what George was talking about. This morning, during my first break, I started a scan of my data base for certain words and came upon Quatrain II-51. I whipped out a quick Post for the Website, and as I went back to work, I started thinking about George’s Email. On my next break, I went back to it and opened the link George had sent. R. K. Murthi does what all Nostradamus Commentators do for the time in which they write. Maybe Murthi got it wrong; it is really hard to say. That is the wonder and frustration of reading through Nostradamus’ prophecies. However, R. K. Murthi added to the numbers by saying “Three times twenty plus six“, but times and plus are nowhere to be found in the line “Bruslés par fouldres de vint trois les six“. So, Murthi added something that was not there to Nostradamus’ Quatrain. This is something I do not do, and if I must I add words, they are in brackets. Every Nostradamus Commentator, myself included, tries to fit history into the prophecies that come closest to the time in which every Nostradamus Book is written. I might make fun of John Hogue, but he has had his share of good interpretations. The worrisome part of it all is that pretty soon the entire global population is going to be able to match unfolding events to many of Nostradamus’ prophecies. 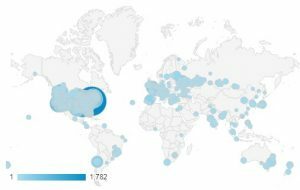 This is why I have the Website, and why I give it all away. A static Nostradamus book does not work. Events are moving too quickly. Writing a book serves two purposes for me, mainly, I am writing a book to make money to pay for the cost of maintaining this Website. It also helps me organize my thoughts and make quick Posts to this Website. I can copy quotes from the books, and then update them in Real-Time. I will say this about R. K. Murthi’s interpretation of the last line, “De mesme secte plusieurs seront occis“, Murthi interprets this as “And many of the same denomination will be killed“. My rule has been to apply consistency in Nostradamus use of characters, numbers, and use of metaphors and allusions. I also try not to create false bridges between interpretations and translations. That is why I present the English translation in simple terms, so my translation is. “Of the same sect several will be killed“. It is true that Nostradamus could mean that more Catholics will die, meaning people of a Christian Sect. Figuring out which Sect is the ambiguous part of interpreting a Nostradamus’ prophecy. The following link will provide the basics on what Sect he might be talking about. Getting to the crux of this Post, here is why R. K. Murthi’s interpretation of the last line worries me… “many of the same denomination will be killed” means many Catholics could soon die in a NATO war with Russia. 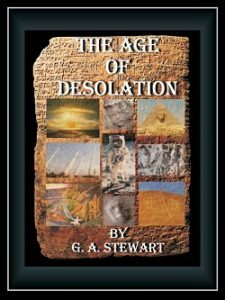 In my latest book, the prophecy that I posted above regarding Great Britain, I suspect might come in Phase II of World War III. But with Nostradamus, you just never know. He layers the predictions in his prophecies like sandstone in a dry riverbed. 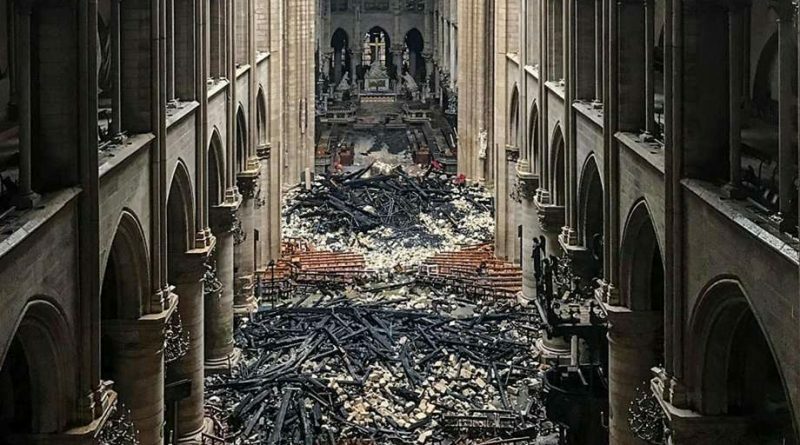 The Internet is filled with stories that the fire at Notre Dame Cathedral in Paris was arson. 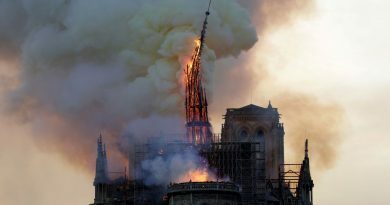 It is all very symbolic, and that is why I thought of Nostradamus’ Pagan Sect of New Infidels immediately. Yes, sir. That is what it is all about. That is why they call it prophecy. Prophecy tells us God is still out there. I have been telling readers that I am worried about 2019. Be careful this weekend.